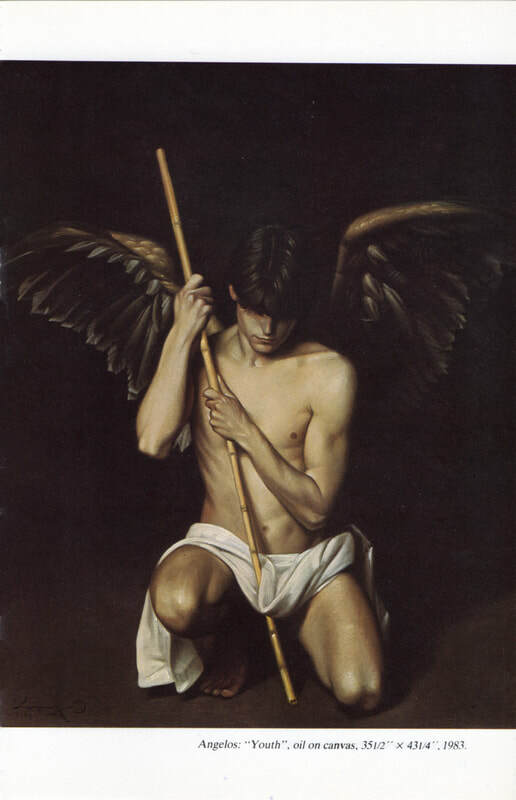 Born in the village of Farkadona, Trikala, in 1943, Angelos studied at the Athens School of Fine Arts. "From the Collection of the Vorres Museum, Hellenic American Union, Athens, 1979; "Synopsis 1982-83", "Synopsis 1980-81", Galerie Zygos, Athens; "Artists Presented in the Zygos Annual Vol. II" Galerie Zygos, 1983; "Polymorphia", Galerie Zygos, 1984, "Epidorpia" Galerie Zygos, Athens, 1985; "Hellenic Fine Arts Today", Zygos Gallery, Washington, DC, 1986; St. Catherine´s, Falls Church, Virginia, 1987; Marriott Hotel, Tysons Corner, 1987; “Aspects of the Contemporary Religious Art in Greece”, Zygos Gallery, Washington, DC, 1987; “Five Greek Artists”, University of Minnesota, Minneapolis, organized by Zygos Gallery, 1987; “Contemporary Greek Artists” Helios Gallery, Florida, organized by Zygos Gallery, 1987; Convention Center, International Art Fair, Miami, 1991; “Religious Themes”, Argo Gallery, Athens, 1995; Art Expo, New York, 2002, 1995; Laurie Regan Chase, San Francisco, California, 1998; Amiry Art Gallery, Los Angeles, California, 1999; "About Art", Trigono Gallery, Athens, 2005. 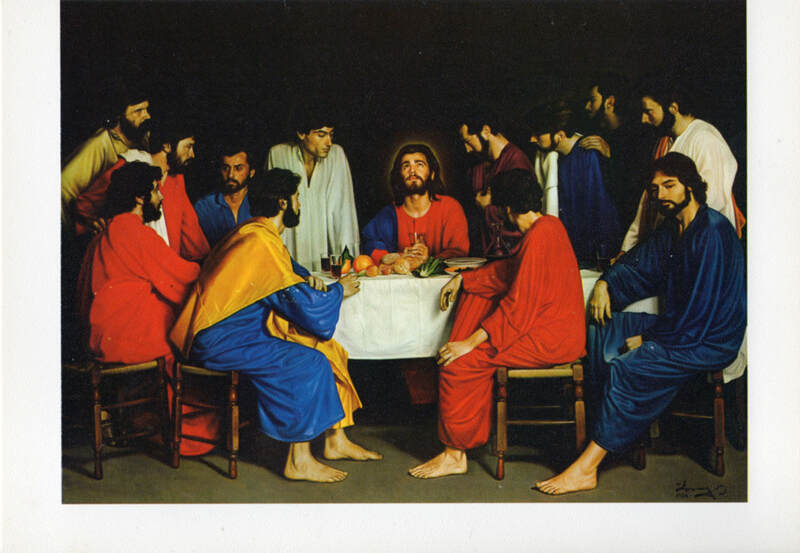 "Last Supper", oil on canvas, 240 x 180 cm, 1984, by Angelos. 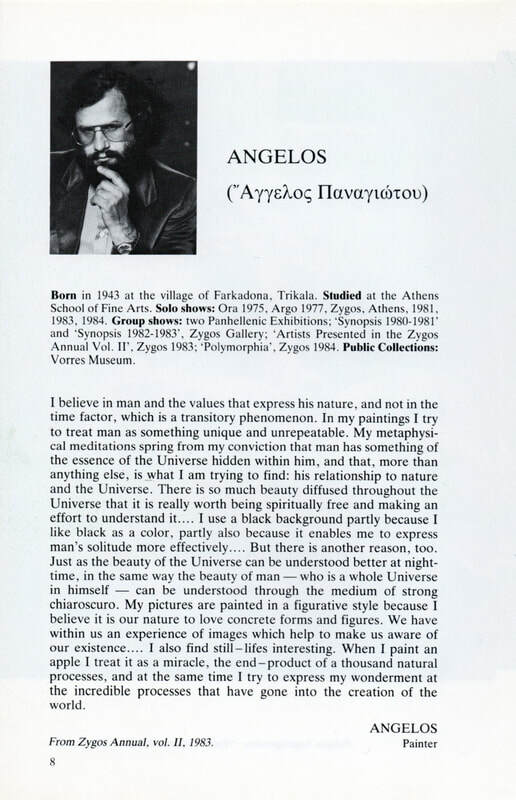 From the exhibition catalog "Hellenic Fine Arts Today," Zygos Gallery, Washington, DC, 1986. "Still Life with Summer Fruit", oil on canvas, 1988, by Angelos, from the series "Still Lifes in Space." 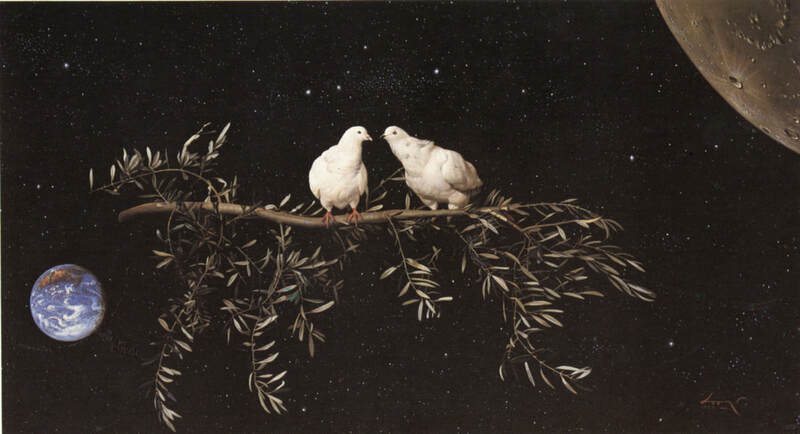 "Doves in Space", oil on canvas, 1990, from the series "Doves in Space."